QC provides its consulting and training services by assembling a team of specialists in the areas of our clients’ needs. Our international team of consultants possesses a combined total of over 500 years of consulting experience in their areas of expertise. They have consulted in North and South America, Europe and the Caribbean. B.A., M.S., PhD. Social/Organizational Psychology. Management educator, trainer, researcher, and consultant. 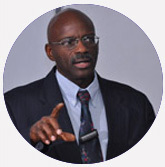 Dr. Charles holds a Bachelor's degree in Psychology from the University of Toronto, Canada; a Master's degree in Social Psychology and a Ph.D. in Social/Organizational Psychology from Howard University, USA. He has been involved in business and management education, training, research, consulting, and practice for over 20 years and has conducted numerous workshops, seminars, and consulting assignments for public, private and non-governmental organizations internationally. He also teaches on the graduate business programs of the University of the West Indies in Trinidad & Tobago and Barbados and Nova Southeastern University in the USA. Kwame's areas of expertise include business research, strategic management, leadership, human resource management, benchmarking and total quality management. He has co-edited two books and has published several articles on business, human resource management, psychology and tourism in international journals, magazines and newspapers. Dr. Charles is listed in The Marquis Who’s Who in the World and the Dictionary of International Biography. B.A., Dip - Structured Analysis and Design. Information technology specialist, trainer, and consultant. Ms. Mendez-Charles has over 20 years experience working in the IS/IT field both locally and internationally in private and public organizations. Her diverse work experience includes developing strategic IT plans; designing, developing and installing IT systems; software evaluation; managing complex IT projects; developing IT business solutions and training. 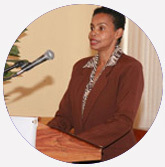 Marcelline holds a BBA, majoring in Computer Information Systems, from Howard University, USA and a Graduate Diploma in Structured Analysis and Design from the National Institute of Higher Education Science and Technology, Trinidad & Tobago. Her areas of competence include: Strategic IS/IT Planning, Functional Requirements Definition, IT Business Solutions, IT Project Management, Statistical Data Analysis, IT Training, and Systems Analysis, Design, Development and Implementation.